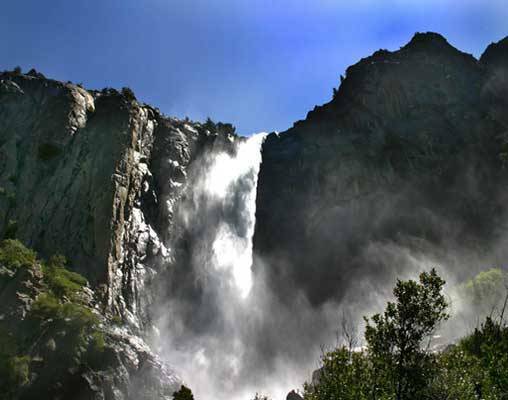 The only thing more appealing than a train vacation through the Rocky and Sierra Mountains is one that includes a visit to the waterfalls and Giant Sequoia groves of Yosemite National Park. Your great western rail adventure begins in Chicago with a two-night stay in this Midwest metropolis, providing ample time to explore the highlights such as the Bean in Millennium Park, a Ferris wheel ride at Navy Pier, or a stop to do some shopping in one of the several fabulous stores lining the Magnificent Mile. After you're done discovering “The Windy City”, continue on your train vacation as you board Amtrak's legendary California Zephyr for a two-night rail journey across the plains of the Midwest into the snow-capped Rocky and Sierra mountain ranges to San Francisco. 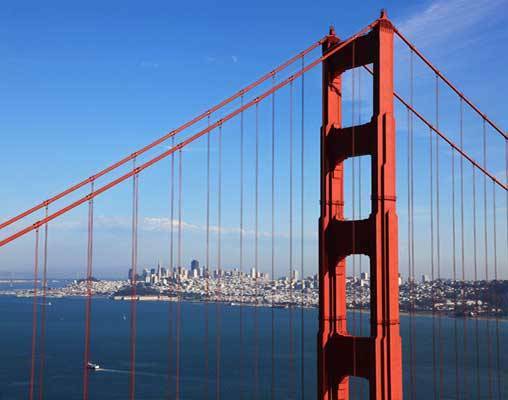 During your two-night stay in the City by the Bay, spend the first part visiting famed highlights such as the Golden Gate Bridge, Fishermans Wharf, or a take a ride on one of the city's classic cable cars. Conclude your stay in San Francisco with a visit to the famous Yosemite National Park. Known for its dazzling waterfalls and vibrant evergreen forests, discovering the wonders of this National Park is the absolute ideal way to complete this unique rail adventure. This vacation is also available from San Francisco to Chicago based on your travel preference. Arrive in Chicago and spend the day exploring the city at your leisure with a hop on/hop off trolley tour. 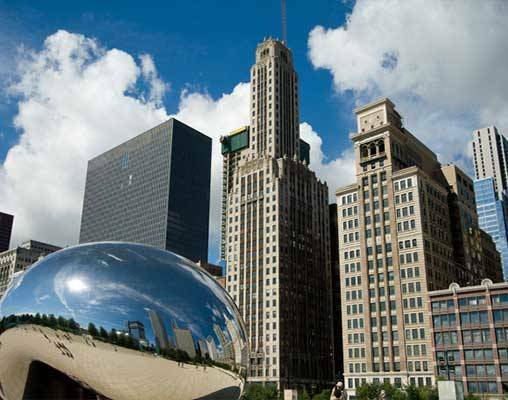 See Millennium Park, the theatre district, the Art Institute, Navy Pier, the John Hancock Observatory, Willis Tower and other important city landmarks. Overnight Chicago. Discover Chicago's South Shore on this 2-hour tour! Highlights include Grant Park, Soldier Field, the Adler Planetarium, the Art Institute, Orchestra Hall, the Shedd Aquarium, the Field Museum, Jackson Park, the University of Chicago, the Museum of Science and Industry and much more! The remainder of the day is at your leisure to shop, take in a spectacular theater performance or enjoy a delicious meal. Overnight Chicago. Arrive at Chicago's historic Union Station for your 1:50 pm departure and prepare for your train adventure. Once onboard the iconic California Zephyr, settle into your onboard accommodations for the 2,400+ mile journey across the country to San Francisco. As the train chugs across the Midwest, make sure to visit the Sightseer Lounge to meet some new friends and admire the passing scenery. Enjoy dinner in the Dining Car as you cross the mighty Mississippi River. Overnight train. Stunning views of the Colorado Rockies await you this morning as the Zephyr climbs the front range of the Rockies. Keep an eye out for wildlife and enjoy the breathtaking scenery from your onboard accommodations, or opt for a more panoramic setting in the Lounge Car. During the summer months, take advantage of the opportunity to learn about the area through which you're traveling during a Trails and Rails presentation conducted by volunteer rangers as you travel from Denver to Grand Junction. Overnight train. 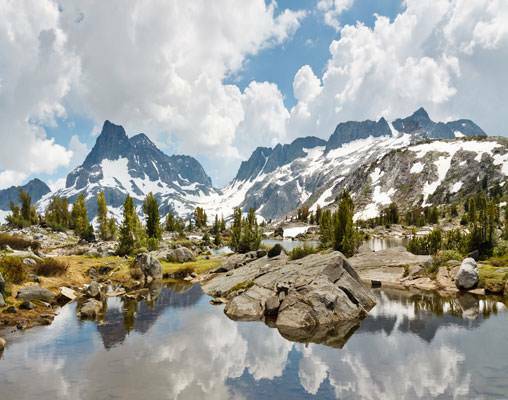 The train arrives in Reno, Nevada mid-morning and continues across the border into California, climbing through the legendary Donner Pass, the high point in the northern Sierra Nevada Mountains. The California Zephyr is scheduled to arrive in Emeryville around 4:10 pm this afternoon. Upon arrival, hop a shuttle for your transfer to the San Francisco Ferry building, where you can get a taxi to your hotel located near Fisherman's Wharf. Overnight San Francisco. Spend the day exploring the City by the Bay on a Hop On/Hop Off city tour. Learn about San Francisco's history from the early Spanish settlers and the Gold Rush to today. Highlights include the Golden Gate Bridge, Chinatown, Haight Ashbury, Coit Tower, Ghirardelli Square and more! Overnight San Francisco. 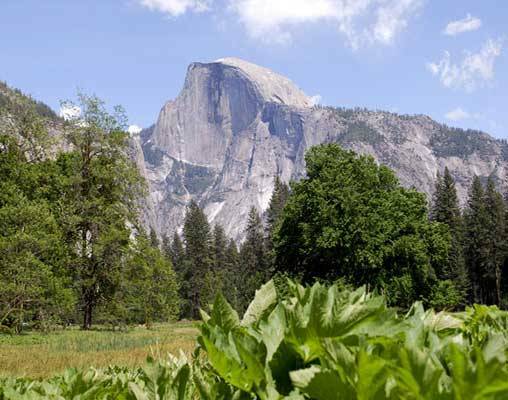 Discover the wonders of Yosemite National Park on a full-day excursion to Yosemite Valley and the Giant Sequoias. Visit El Capitan, Half Dome, Yosemite Falls, Bridalveil Falls and Inspiration Point before driving to a lesser-traveled part of the Park for a chance to hike in the evergreen forest to see the world's largest living things: a grove of Giant Sequoia trees! Overnight San Francisco. Your California Zephyr and Yosemite National Park vacation comes to an end today. Check out of your hotel and transfer on your own to the airport or railway station for your return travel home. Hotels include the Hilton Palmer House and Sheraton Fisherman’s Wharf. 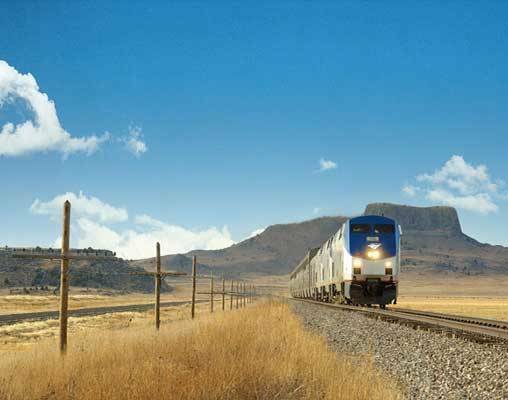 Click here to view testimonials for California Zephyr with Yosemite National Park - Chicago to San Francisco. Everything was arranged perfectly, details was handled perfectly. Fantastic hotels reserved for us. The train employees very friendly and helpful. Our purpose was to see the USA and especially Yosemite. We did both on this adventure and were very pleased. Enter your details below if you would like to be notified when 2020 dates and prices are available for California Zephyr with Yosemite National Park - Chicago to San Francisco. * Arrival and Departure times are subject to change. Please be advised that passengers traveling on California Zephyr Trains may encounter delays of approximately three to six hours due to heavy congestion, speed restrictions and other operating conditions. Chicago Historical Tour is not available on Thursdays and substitution of equal value would occur. The Giant Sequoias hike on the excursion to Yosemite is dependant on snow levels and trail conditions. Prices are correct at the time this webpage is published; however are subject to change. Vacations By Rail can supply connecting rail from your closest Amtrak Station.